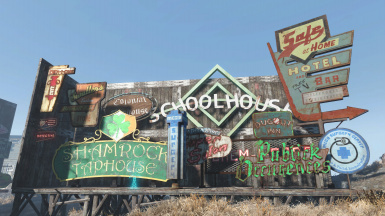 All five of Gruffydd's Signs of the Times mods, together in one place, with categorization! 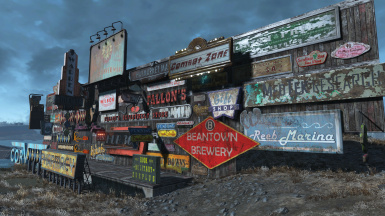 This mod includes all five of the Signs of the Times mods, gathered together into one mod and categorized. It's set up as an add-on to Gruffydd's Signs and Posters, so you'll need that too. Unfortunately, there doesn't appear to be a way to transfer the old items into the new combined mod while keeping the ones already in the game in place. 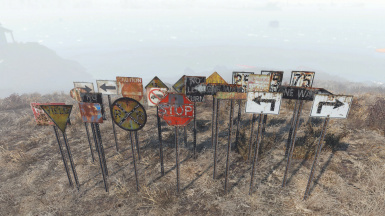 Because some people may have placed a lot of signs, the individual SotT mods will still be available. 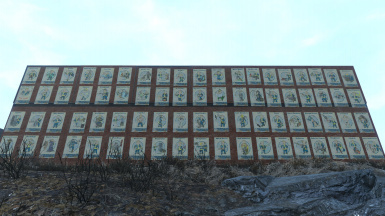 Adding this mod will not make those go away. If you are entirely switching to this version, I recommend running both versions until you have replaced your old stuff with the new versions, and only then remove the original mods. Or, of course, you can just dump the old stuff and start fresh. Any updates to the SotT series will happen here. The original ones will not be further modified unless something changes resulting in bugs, in which case the bugs will be fixed. Any new SotT content will only be added to this version. SKE (Settlement Keywords Expanded) optional version now available! Use one or the other. Don't use the main and optional at the same time, they won't work right. 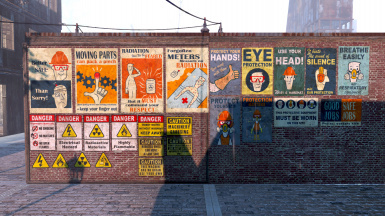 A: Yes, as long as you chose the right version of the required mod "Gruffydd's Signs and Posters". Q: I can't find any of the objects. Where are they? A: Everything is in the Decorations->Gruffydd->Signs of the Times folder. Q: Why are a bunch of the objects purple? A: That indicates a missing texture. 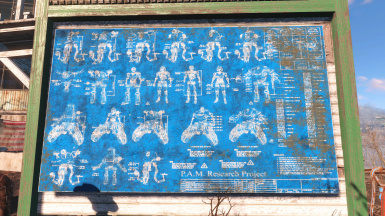 If the object is from the DLC, then it's probably purple because you haven't bought the Mechanist DLC. 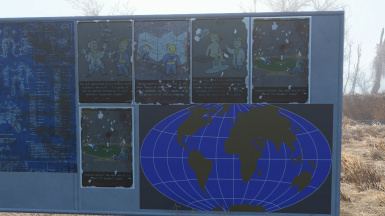 Bethesda doesn't allow modders to release DLC content to people who haven't bought the DLC. If it's something not from the DLC, please let me know, so I can troubleshoot it. Q: It's crashing on startup. Why? A: The only reason it should do that is if there's a missing master, which in this case would be the Gruffydd's Signs and Posters mod. Download the appropriate version of that mod, and the problem should go away. Q: It's crashing when I'm moving through the menu to place things. Why? A: That usually indicates a missing mesh. Check your game files to make sure all of the meshes are in the folders where they should be. 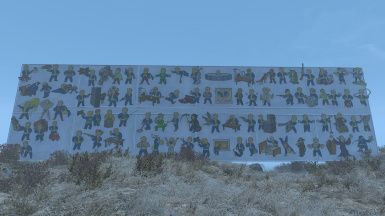 If any are missing, you'll need to reinstall the mod or drag the objects in from a manual download. Q: Why didn't you include Object X? A: Probably because I didn't know about it (exception: I could not get that accursed "Choice Cuts" sign to work, so that's why it's not there). 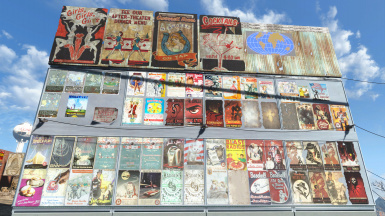 If there's a vanilla sign or poster you want added, let me know which one, and I'll see what I can do. Q: Could you make a custom version of Object X? 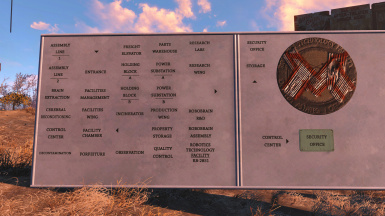 A: Not here, this mod is for vanilla stuff. 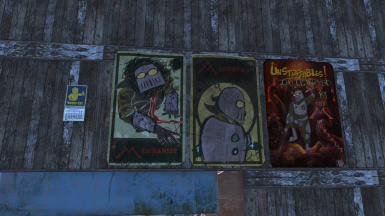 If you want custom stuff, head over to Gruffydd's Signs and Posters. 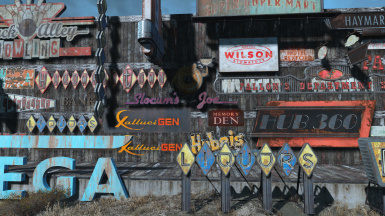 Q: When are you going to add the signs and posters from NukaWorld? A: All I can say at this point is "eventually". So much has been happening the last few months that I've not had as much time to do updates, so when I do, the work mostly goes to GS&P. Q: GruffyDD? What does that mean? A: No, not GruffyDD. Gruffydd. It's a Welsh name, that is basically pronounced "Griffith". It's my SCA persona name. Q: What is the ultimate answer to the question of Life, the Universe, and Everything?